get to know their history. When our job is done, our clients must feel that they received great service!" March 28, 2014: "...without his knowledge and patience, we would be lost..."
" My husband Dennis and I have had the pleasure of working with Grant in our home hunting journey and without his knowledge and patience, we would be lost in navigating the city (as we are new to Calgary) as well as the whole realtor experience. He was extremely accommodating to our schedule and was always so prepared with the viewings we had selected. He had the listing information always printed out and in the order in which we were viewing them. Making calls to the other realtors if there was a change in plans, which speaks volumes to his customer service. Our home search started with condominiums but then turned to single family homes after several outings looking at condos. He is extremely knowledgeable about the advantages and disadvantages of the different types of dwellings and was always transparent with any questions we may have had. We had several experiences with the offering process and Grant was always readily available to be the liaison in the experience. Dennis and I would both easily recommend Grant to our friends and family. Should you require any further information, please do not hesitate to contact myself... "
Jan 10, 2012: "...I just needed that extra nudge you gave me to push me over the fence when we saw the house I purchased." " ...Things around the New house are just great and I really couldn’t be happier! I wanted to thank you again for your tremendous patience during the entire process, looking back I feel bad how much time you spent with me but made sure I found the right place. Being a first time home buyer I think the entire experience was just a little overwhelming for me by myself, and I just needed that extra nudge you gave me to push me over the fence when we saw the house I purchased. I promise you when I purchase my next house it will not be as painful for you LOL. I have highly recommended your name to a few friends over the past few months who are looking to purchase in the next couple of months, as you did a standout job! July 24, 2009: "...I enjoyed working with Grant Geddes on my recent purchase and then on my mother's house purchase." " I just wanted to send you a quick note to let you know how much I enjoyed working with Grant Geddes on my recent purchase and then on my mother's house purchase. I particularly appreciated Grant's professionalism and knowledge of the housing market. Grant really adhered to my "wish list" and found me the perfect house. He was courteous and patient at all times, and completely flexible on my mother's needs and search. Grant has a great sense of humour and I would not hesitate to recommend him to my friends and family. " December 1, 2008: "This is the first house we bought and we are happy we met you and worked with you." We would like to take this opportunity to thank you and Carol for your help and friendliness. This is the first house we bought and we are happy we met you and worked with you. We appreciated your patience, your communication skills and the fact that you understood our needs and interests. Thank yo again and the best of luck in your work! " March 30, 2006: "...I was meant to feel like a most valuable client..."
" I would like to take this moment albeit belated to extend my heartfelt thanks for the successful sale of my property in Cedargate Village in June 2005 and the subsequent relocation to my new condominium at Eversyde Court in August 2006. Your real estate acumen and professional manner combined with your care and concern for my safe and happy relocation went a long way to establish my faith and trust in you. With your wife, Carol, I was meant to feel like a most valuable client and both of you went a long way to assist me as I made the transition back to Calgary. I would not hesitate to recommend your friendly and capable services to my friends and family in the future. " October 8, 2005: "We're very happy with your services and would certainly recommend you to others." " Thanks very much for the gift certificate you sent. We had a great night out with it last night. We're very happy with our new house and we're getting settled in. We're very happy with your services and would certainly recommend you to others. July 29, 2005: "A special thanks to going beyond the call of duty..."
" Mr. Grant Geddes was recommended to me by Mr. & Mrs. Y.
I found him to be very professional in his dealings. He answered all necessary questions and queries to our satisfaction. The presentation was highlighted by Grant pointing out some of the salient features of the property. I found him personable and very knowledgeable, hard working. Grant made extra efforts to try and understand our needs/wants. Grant demonstrated indepth knowledge of the Calgary real estate market. This was absolutely necessary for us, an out of town buyers. A special thanks to going beyond the call of duty for arranging and receiving the house inspection report. Also, it would be unjust without thanking and commending Mrs. Geddes' work throughout the whole proceedings. Although we have not met in person, we had communicated via electronic media. She has responded to my many requests promptly with the utmost professionalism. In summary my experience working with Mr. & Mrs. Geddes leads me to unreservedly recommend them to any future buyers. " - Louis "One happy new homeowner." July 11, 2005: "His unfailing sense of humour helps smooth the bumps in the road." " I'm just dropping a belated note to express our satisfaction with Grant (and Carol) Geddes and their services in support of the purchase of our new home and the sale of our old one. Grant is always professional, knowledgeable and ethical. We appreciate the hard work he put in selling our old home and the timely execution in the purchase. His unfailing sense of humour helps smooth the bumps in the road. Grant has now been our realtor in 2 house sales and 2 purchases. In addition, he acted on behalf of our daughter and son in law in the purchase of their house. We have referred others to Grand and will continue to do so, although we personally hope to stay in this house for the duration. Please feel free to use me and Elaine as a reference. " January 3, 2005: "...I have known Mr Grant Geddes for almost 10 years now and have found him to be honest, hardworking, patient, and very knowleadgeble real estate agent." " My family and I have known Mr Grant Geddes for almost 10 years now and have found him to be honest, hardworking, patient, and very knowledgeable real estate agent. Last month he helped me buy a house and am very happy with his services. " December 28, 2004: "Grant was referred to us by a family friend, and more than lived up to his recommendation." " Our family recently sold and purchased homes in Calgary, using the services of Grant Geddes as our realtor. I am writing to offer my comments on his service. I have bought and sold a number of homes in Calgary over the past 20 years and Grant is by far the most professional and personable realtor I have yet to deal with. Grant was referred to us by a family friend, and more than lived up to his recommendation. His service embodies all of the elements important to me - professional , prepared, informed, prompt and of course, the most important - a great sense of humour! Together with his partner Carol, they make an unbeatable team. I will happily recommend Grand and Carol Geddes to friends and colleagues for their real estate needs and, of course, use him for any future personal requirements. " April 14, 2004: "Grant took the time to explain the process and wasn't put off by the multitude of questions I had." " I am writing to you with regards to my recent experience selling my home, as well as buying my new one, just a short time ago. I enlisted the services of Grant Geddes, since my sister had great success with him in the past, and was very pleased with the service received. After contacting Grant, he stopped by to discuss my needs. Grant took the time to explain the process and wasn't put off by the multitude of questions I had. After our initial meeting, he moved the process forward by not only listing my home on the MLS service, but by also providing pictures and a virtual tour on the internet. Grant was always very helpful and took the time to make sure I understood every step of the process. As for the purchase of my new home, Grant was always very accommodating. Many times, we went out looking just to get a feel for the market. Even though I felt that I was taking up too much of Grant's time, he continually assured me that he was happy to assist me any way he could. Selling and buying a home can be very stressful. I am very thankful that Grant made me feel confortable and confident with all of the decisions I made. If I were to ever go through the process again, I wouldn't think twice about having Grant assist me with the task. I have also mentioned his name to others so they can take advantage of the great service he provides. I am very glad to write this letter, letting you know of my positive experience. If you would like to discuss it further, please to not hesitate to contact me... "
"...Grant was dedicated in finding us our perfect home..."
How are you and your family? Things are just wonderful for us. I think we have never been so happy since the purchase of our new home. It is keeping us busy but now I take pride in the work that I do around the house, because it is ours! The dogs adapted very well, spoiled as always. Our family has been visiting from New Brunswick and they just love the place. We also wanted to take the time to thank you for your generous gift! It was well appreciated and well used, as we went eo Earls for my birthday. We had a great time! We moved to Calgary about two years ago and absolutely fell in love with the city. This past summer, we decided to make it our home and started shopping for our first house. It was something we decided pretty quickly and we didn't have time to do much research. We started looking at homes, and by luck of the draw, I called Grant Geddes. I felt immediately at ease talking with Grant. He answered all my questions promptly and made me feel like I could trust his judgement. It usually takes me a while before I can trust anybody, but Grant made us feel like we would not be disappointed, and we were not. Our hunt for our new home started and Grant, everyday, provided us with up to date information on what was out in the market. He knew our taste and also let us see different homes to be able to open our eyes to what was out there. He gave us valuable information and was always available. What really demonstrated how Grant was dedicated in finding us our perfect home was that he took the time to spend a full day with us during Father's day, so that we could get the home we are currently living in. Our home is, no doubt in my mind, the perfect house for us, our two dogs and future kids. It is spacious practical, modern, landscaped..etc. We moved in and didn't have to make any modifications! We just wanted to take the time to personally thank Grant and his wife for all of their time and dedication in making the purchase o our new home a wonderful experience. I would highly recommend Grand when the opportunity arises. " November 6, 2004: "...thank you again very, very much for everything you did for us..."
This is just a note to thank you for the meal certificates that you sent to us. it really wasn't necessary. i think you did enough for us as it is. by now you already know that we haven't found a palace yet. Ernst is already saying you might have to find us a place again in calgary. hopefully it won't come to that. anyways, i hope all is well with you in calgary and thank you again very, very much for everything you did for us and we would definetely recommend you to anybody. " November 5, 2004: "We found Grant to be very pleasant and helpful..."
" We just wanted to take a moment to thank you for the service Sutton Group provided us with through Grant Geddes. We found Grant to be very pleasant and helpful and would not hesitate to recommend him to anyone requiring the services of a real-estate agent. " February 3, 2004: "...he and Carol have provided first-class after-sales service." " Grant Geddes found a home for us at 36 Fyffe road S.E. last fall. On December 05 My wife, Betty and I moved into it with our grandson, Jesse, who had taken possession of the house at the end of October. Our move from Lac Des Arcs proved to be difficult, challenging and time consuming. The reason for writing you is to inform you of the great service Grant and Carol Geddes have provided to us. The house was selected by Jesse only after Grant had spent considerable time and effort showing him various properties throughout the city. The education Jesse received was extremely valuable and appreciated. Then when the choice was made Grant helped close to deal. We are very thankful for Grant's input. Our association with Grant goes back many years to when we bought and sold real estate in South West Calgary. During the first transaction we realized we had an exceptional Realtor working for us and this opinion has not changed through the years. Whenever we have wanted to buy or sell we contacted only Grant and our trust in him has proven fully warranted. In addition to the real estate deals with us he and Carol have provided first-class after-sales service. In addition, whenever we hear of anyone wanting to move in the market we recommend Grant. Just yesterday I recommended him to my sister who is considering a move from her large home into something easier to care for. Once again let me assure you that Grant has proven over and over again t be an outstanding Realtor to and for us, both in initial sales and follow-up activities. " October 23, 2003: "We highly recommend Grant Geddes to prospective homebuyers." " Grant worked as our realtor as we moved from Grande Prairie to Calgary. Not knowing much about the City, or its districts, Grant was instrumental in our understanding in this respect. We probably toured about sixty homes until we narrowed down where we wanted to live and this was certainly time-consuming for Grant. He did this work with enthusiasm and patience, even though we were still formulating in our minds what we wanted, and that cannot have been easy. Grant was full of tips for buyers and has a full understanding of real estate law and financing. He is also sensitive to the needs of families who are looking for communities that support their lifestyles in terms of recreation and education. Our experience with Grant was positive, rewarding, and let us move into the City faster, and with ease. We highly recommend Grand Geddes to prospective homebuyers. " June 27, 2003: "I can't thank - you enough for all of the help, support & knowledge that you provided for me..."
I can't thank - you enough for all of the help, support & knowledge that you provided for me during my recent work with you. Your'e an unbeatable team. Wanted to contribute towards your new deck & outdoor furniture. Enjoy. " " Grant Geddes did an outstanding job and found us the perfect home. He was outgoing, patient, and honest. He continued to assist even after the possession date. " October 29, 1998: "Grant's extreme organisation with respect to scheduling many home visits on each of the 3 days in order to allow us to see as much selection as possible." " In June of this year Grant Geddes spent approximately 4 full days with us helping us to find our recently purchased home in the Woodbine area of South West Calgary. We had been in contact with him prior to our visit to Calgary, while we were living in Venezuela, to enquire about prices, areas, activity levels in general etc. We found his service, including his attitude, knowledge, and general professional demeanour to be of impeccable quality. We visited a number of homes in 3 specific areas of the city on 3 different days. Grant was very helpful in contributing to our decision to purchase in Woodbine, considering all the pros and cons of the 3 areas involved (Coach Hill / Strathcona, Woodbine / Oakridge, and Douglasdale / Sundance in chronological order). He was also most resourceful in (re)explaining to us his view of the business in general, his specific role, and real-estate ethics, etc. Grant's extreme organisation with respect to scheduling many home visits on each of the 3 days in order to allow us to see as much selection as possible. The fact that not one time did he suggest looking at houses above the price range we had suggested to him (something we have seen done all to often by other agents we have used). Grant listened to the conversations between ourselves and soon got a feel for our likes and dislikes in various homes, making later viewings more efficient or practical. At no time did we feel rushed into making a decision. In fact, quite to the contrary, Grant was very patient with us and pushed us to be as careful as possible with our selection. In the negotiation process, we feel that he most certainly acted in our best interest with respect to our offer, counter offer, etc. His contacts with respect to additional services required (i.e. mortgage and legal services) also proved to be most pleasant to deal with. In short, Grant provided to us our most pleasant, organised, thorough, and efficient home buying experience to date (this was our 4th). We definitely plan to recommend his services (have already done so in some cases) to our friends who may be entering the home market. " November 2, 1998: "They are to be commended for their personal commitment and attention to detail." " I thought it time that we let you know about our move from Calgary to St. Albert this past Summer. During April My Wife and I had occasion to call on the services of Grant & Mrs Geddes to put our Home on the market and to plan an orderly promotional sales program. We had used Grant as our agent when we purchased our Calgary Condo in 1985 and were very pleased with his professional approach at that time. They are to be commended for their personal commitment and attention to detail. July 24, 1998: "...we really appreciated his "non-pushy" personality." " We would like to take a moment to let you know what an outstanding job Grant Geddes did in helping us find the perfect home. He was very outgoing, patient, honest, and we really appreciated his "non-pushy" personality. Our possession date was May 29, 1998 and even into July he continuously assisted us. I have already recommended him to a friend, and will not hesitate to recommend Grant to anyone we might know that will be looking for a home. When we decide to buy a new home, Grant will be our first choice for a Real Estate Agent. " March 21, 1995: "He was very helpful in every way he could be." " I would like to commend Mr. Grant G. Geddes on a job well done when he assisted me in finding above property. Grant conducted himself in a complete professional manner and at the same time remained personable and pleasant. He was very helpful in every way he could be. I certainly would not hesitate to recommend Grant to anyone of my business associates or personal friends. " February 23, 1997: "He oversaw the removal of tenants and made sure the contractors did the repairs..."
" My wife Meena and I take a lot of pleasure in informing you, as the agent of Mr. Grant Geddes, that we are extremely happy with the services provided by Mr. Geddes in the sale of our property at 3008- 34 St. SW in Calgary during November, 96. We are very thankful to Mr. Geddes for the many ways in which he had helped us in the process of the house sale. Selling a revenue property with two separate tenants is not an easy task, especially when the owners are out of the province. He oversaw the removal of tenants and made sure the contractors did the repairs required for the resale of the house. The very first thing that comes to my mind when I think of Mr. Geddes is his professionalism. He has conducted himself in the same professional manner as he had in the past 11 years we have known him as a realtor. We had bought three properties through him and had sold two properties through him. In addition he had rendered his assistance in finding a good realtor for the purchase of our home here in Winnipeg. I would have no hesitation in recommending Mr. Geddes as a realtor to anybody I know who is on the look out for property transaction. " August 31, 1995: "...your professional yet personable approach put us at ease..."
We would just like to take this opportunity to thank-you for all of your hard work in both selling & purchasing our new home. As this was a new step for us, we found your extensive knowledge in this area extremely helpful. Over and above this, your professional yet personable approach put us at ease during a very stressful time. Due to the excellent service we received, we would not hesitate to recommend you to other potential buyers or sellers in the market. It has truly been a pleasure working with both of you. " July 15, 1994: "The fact that we could reach you day or night was very reassuring..."
" Dave and I thought we would drop you a few lines to express our eternal gratitude to you for locating such a lovely home for us. We were extremely impressed with your professionalism, efficiency, dedication and friendliness. It definitely was not an easy job finding us a home, especially when we weren't even sure what we wanted ourselves. You managed to determine what our ideal home was (even to the extent of ignoring the information we had earlier given you e.g. no bi-levels and no crossing the Macleod Trail bridge near Golden Acres, thank goodness you did) and fulfilled your commitment to us by finding our perfect home. We also want to thank you for the advice and help you extended to us regarding our lawyer. Being first time buyers and finding out we had a lawyer who was in "a world of trouble" was extremely distressing. The fact that we could reach you day or night was very reassuring in our state of panic. You went "beyond your duty" to establish our next course of action and ensured the sale went through according to plan. Also, please forward our appreciation for a job well done to your wife Carol. You definitely have two very loyal clients who would not hesitate to recommend you to family, friends, colleagues, etc. and, in fact, will certainly be using your services again (if the need arises) in the future. We truly enjoyed meeting and working with you! P.S. The coasters are super, thanks for the thoughtful gesture. " 1994: "I was very impressed with Mr. Geddes' professionalism and his patience. I was not an easy customer to please." " Just a note to let you know that I appreciate the excellent service that I received from your organization. I just relocated to Calgary from Vancouver and was having a hard time finding a place that suited my needs. Grant Geddes from your office was very helpful in my pursuit to find a suitable home. I dealt with two other real estate agents before I found Mr. Geddes, and I don't think I would have bought if it wasn't for his help. I was very impressed with Mr. Geddes' professionalism and his patience. I was not an easy customer to please. I would not hesitate to give Mr. Geddes's name out to any of my business colleges or friends. Again, thank you very much and I wish your franchise much success in the future. January 6, 1993: "...also we felt extremely comfortable with his honest upfront manner." I would like to take this opportunity to write to let you know what a great job, Grant Geddes, of your office did for us in the sale and purchase of our home in July, 1992. Grant had been highly referred to us by one of our friends and we certainly plan to refer Grant to our friends. The sale of our fist home and the subsequent purchase of our present home was done with relative ease due to the efforts of Grant. Grant acted not only as a valuable resource for housing material, locations, etc. bus also we felt extremely comfortable with his honest upfront manner. " January 9, 1989: "Grant, quite frankly you did an outstanding job for us in selling our house." " I apologize for being so late in sending this letter to you however I have simply been run off my feet for the last three months. In any event we now appear to be about 80% settled and things look good from this end. Grant, quite frankly you did an outstanding job for us in selling our house. Of importance to us was the fact that you took a direct interest in our house and I am sure you are aware that a number of your colleagues are often more interested in listings than in selling the property. Clearly this was not the case with you and we were most appreciative of your approach and professionalism you displayed in dealing with prospective purchasers. I personally was most impressed and you can rest assured that we will be more than happy to provide your name to any potential buyers or sellers moving in or out of Calgary. Best of the season to you and your family and you never know perhaps our paths will cross again. " 1989: "...made the experience of selling our home a pleasure." " My husband and I are writing to let you know about the wonderful service we received from Grant Geddes, our real estate agent. Grant made the experience of selling our home a pleasure. He handled all of our questions about the process in a very pleasant and professional manner. We also received this great writing paper as a gift that he personally delivered after we were settled in. Thanks for your time. " February 5, 1993: "His knowledge of his craft and his personal consideration of my wishes were most reassuring in a difficult time of transition in my life." " I wish to commend your associate, Grant Geddes, in the manner in which he handled the selling of my home. His knowledge of his craft and his personal consideration of my wishes were most reassuring in a difficult time of transition in my life. I would happily recommend him as a realtor should the occasion arise. " February 5, 1991: "Grant was always available to discuss current real estate trends, provide property evaluation, and answer any of our questions." " In July of last year an employment opportunity with NovAtel Communications Ltd. in Lethbridge prompted us to make the decision to sell our home in Calgary and move south. Grant Geddes first introduced himself, and your company, to us many years ago. His regular visits to the Braeside Estates area and a friendly knock at our door were consistent reminders to us of his dedication in serving our community with top-notch real estate services. Grant was always available to discuss current real estate trends, provide property evaluation, and answer any of our questions. His professional, yet amicable, approach gained our trust and we agreed that, if and when the situation arose whereby we would be selling our home, Grant was certain to get our business. Our home was placed on the market, sold within ten days, and all transactions were completed without any irregularities. We believe this is a direct result of Grant's experience and expertise as a real estate consultant. We hope to return to Calgary within the next few years. When that time comes, we will be calling upon Grant to help us with our housing needs. We would be very pleased to recommend Grant Geddes and Roberts Real Estate Co. Ltd. to any friends or relatives we have in Calgary who may be considering a real estate transaction. " April 29, 2003: "It was an exciting time in our lives and Grant and Carol made us feel like we were their only clients." " It is with great pleasure that we have the opportunity to write a recommendation on the behalf of Grant and Carol Geddes. We met Grant in August 2002 and he immediately set to work trying to help us find a house that we could call a home here in Calgary. He was patient with us and tireless in his efforts to find us a home in Calgary. Although we were absolute newcomers to Calgary and Canada, and consequently pretty much ignorant about the real estate business in Alberta, Grant always found the time and the patience to answer our countless questions and concerns. Grant's friendly disposition and enthusiasm always made our house hunting pleasant and stress-free. He understood very early our needs and exactly what type of house and location we were looking for in Calgary. While we were away from Calgary, Grand and Carol always kept us informed on new house offers, constantly updating our personal website, and thus making us feel that our interests were being taken care of, even at a distance. It was an exciting time in our lives and Grant and Carol made us feel like we were their only clients. In the end, we feel that it was only because of Grant's untiring search for us a home that we indeed were able to find the perfect place for us. Grant is a reliable person and we feel we can trust him. 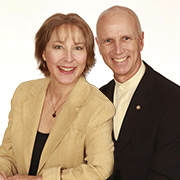 If we needed to rely on the services of a real estate agent in the future, we would not hesitate to call Grant and Carol. " November 30, 1998: "The house you found for us is truely a home, and without reservation, is the finest available in it's price range." " Just a short note of sincere thanks for your kindess and honest in helping us find a home in Calgary. Our time to search for a home was short, and our finances meagre, but the time you spent with us, and the care and dilegence you displayed towards us, far exceeded our expectations. A special thanks to your wife who looked after our daughter while you spent hour after hour driving us around the city of Calgary and a heart felt thanks to you Grant, who, when one of my girls became ill, took her to your own personal physician. The house you found for us is truely a home, and without reservation, is the finest available in it's price range. The area is superb, offering every conceivable amenity for a family like ours. A ????? sincere thank you for all you have done for us. Dec 13, 1995: "Customer service, honesty and integrity are synonymous with his name." " I believe special people deserve special mention, and a member of your team warrants this letter. In these days of fast moving business transactions I've had the good fortune and pleasure of working with someone who cares more about his clients, and their welfare; Grant Geddes. Customer service, honesty and integrity are synonymous with his name. We'll definetely do business again. " March 19, 1991: "We have no hesitation in recommending your services to our friends. May you have continued success in the so highly competitive field of real estate." " This "thank you " letter is tardy in delivery; however, the old cliche still holds true, better to be late than never. First of all thank you for such a thoughtful gift. Personalized stationery is a most welcome and much appreciated gift. We are enjoying our new place of residence, several renovation projects taking place, soon you won't recognize the place. We were pleased to have chosen you for our agent. Your conduct is always very thorough and professional. We have no hesitation in recommending your services to our friends. May you have continued success in the so highly competitive field of real estate. " January 1, 1993: "...he conducted my business in a friendly, professional way..."
" I am now settled in my new Condo after selling my home on Elbow Dr. I chose Grant Geddes as my realtor and found he conducted my business in a friendly, professional way and would recommend him to anyone else selling their home. January 6, 1993: "Thanks again for your thoughtfulness, we sure do appreciate it." " I can't believe that almost 6 months have just zipped by. We've been doing a few handy man jobs around the house and it really is starting to feel comfy. Grant, thanks so much for the beautiful writing paper you sent us, as you can see we are putting it to very good use. Also, the coffee mugs are great - thanks so much. Congratulations to you, we read in the paper that you were top producer of the company for the month of October -- good for you! Finally, we have gotten around to writing the letter to Mr. Roberts that you requested and please be assured that the delay in our writing is in no way an indication that we were unhappy, just busy and perhaps a tad lazy. Grant, all the best to you and your family in 1993 and if we hear of anyone that is buying or selling (we haven't yet) we will certainly direct them your way. Thanks again for your thoughtfulness, we sure do appreciate it. " January 3, 1993: "Please accept my sincere thanks for your great service and the nice xmas gift/calendar." " Happy New Year! Please accept my sincere thanks for your great service and the nice xmas gift/calendar. It seems to me that you have high spirits. Some months ago, I wanted to congratulate you on your award but I could't send a card sooner as I have a bad year since I got laid off last April. Presently, I am self-employed. I work part time - cleaning the floors at nights. Also, have some small jobs to do some cleaning work at three different locations. I earn about $700 a month. Hoping to have unemployment insurance pay in six weeks. It has been difficult to find a full time job. For my condo, I still haven't finished painting on the ceiling of the bedroom yet. The other ceiling and the walls are to be done. Well, the xmas cups are much appreciated. It would be nice if you could phone me thru the AGT relay service before you want to give something to me. Just call AGT relay service at 1-800-855-1166 and then ask for 888-8888. The AGT will pass your message to me if I'm home. Otherwise, you can drop in anytime. Thank you. I wish you a good, succesful year. " January 2, 1993: "A better referral could not have been given." " We were recently transferred from Saskatoon to Calgary and were referred to Grant Geddes by our Saskatoon agent. A better referral could not have been given. Grant gave us superb service right from the first phone call through to possession date. We will recommend him highly and won't consider anyone but him should we move again. " July 24, 1992: "Thank-you again for the great job done." " Greetings from sunny San Diego. Corinne and I are both getting settled in now and are loving the beautiful city and terrific weather. I had to mention the weather as we hear that you are getting a lot of rain in Calgary. I wanted to let you know how much we appreciated your and Tom's efforts in getting our home sold. We were wise to have chosen you as our realtor. As you can tell, I like to be on top of what's going on and you always did a great job in keeping me informed. Our lawyer indicated that the closing costs were out by $59.59 due to our being credited with the interest on the deposit rather than the purchaser. I enclose a cheque for that amount to clear up the matter. I will also copy you on a letter that I will sent to B.P. as I was not all that thrilled with his attitude and service. Thank-you again for the great job done. " May 8, 1992: "...we appreciate your newsletters..."
" Just a short note to let you know what's new. We've been painting and wallpapering, changing pictures, light switch covers and re-organizing rooms. Last summer our basement leaked and the condo management hired someone to dig up the backyard to seal the wall. When they put back the patio blocks, they didn't level it first, so Mike's in the process of fixing them. (What a job!). Now for some real news - we're expecting a baby in July. We have no idea what it is, but things are going pretty good except for a cold I've been fighting for the last month. I'm not sure if you knew or not, but we gave Spade away (he cried loudley when we were out) and we now have 2 siamese kittens - Elvis and Priscilla. They are much easier to care for and are very loving when they want to be. They are indoor cats and very clean. From all your advertisement over the past year, things must be either really slow or just booming. I hope for you things are well. People are really hurting these days with our economy the way it is. Last Aug. Mike quit Loomis (just tried of the politics) and has just got a job in Feb. He's with City Parcel now, but has found out that life with this company isn't any better than with Loomis. I've never dreamed he'd be off work this long. At least we won't make that mistake again. Well Grant, I should close for now. Take Care, work hard and we appreciate your newsletters + literature. Keep in touch + when are looking to sell, you'll be the first to know. " March 5, 1991: "...his future success depends on the friends and relatives that I may refer to him." " I would like to let you know that I am all settled in after the Real Estate agent, Grant Geddes found the condo suitable for me. I was so surprised to receive the stationery box. Thanks, Mr. Geddes for the nice gift. I have planned on going to paint walls and ceilings during summer hours. It is certainly leisure to do some chores around the rooms if something is to be done in better condition. Before I never thought about buying a condo since I used to live at the apartment for several years. My Brother, Don explained about a good investment I can get from selling my own condo someday. That is why he encouraged me to buy the condo. I agree with Mr. G. Geddes saying his future success depends on the friends and relatives that I may refer to him. " September 2, 1991: "It is nice to know there are good people out there that you can trust." " Since your return home from holidays I am sure you have been informed of the latest developments with us. We have purchased a home, yet to be built, in Harvest Hills. We purchased directly from Newcastle Homes Ltd., thus precluding your assistance in the sale. That was a disappointment to us, given the time and energy you invested in helping us search for a home. We are certainly appreciative of the effort and confidence you have shown us to date. We were not able to provide you with the commission on the sale of the home we purchased, however we do intend to maintain the working relationship we have tried to build over the past three years. Our commitment to you and Carol is to ensure that you will be retained as sales consultants for the sale of our recent purchase when the appropriate time comes. We have been well served by you and your associates since arriving in Calgary. We wish to extend our good will and hope that that service will continue. It is nice to know there are good people out there that you can trust. " July 2, 1991: "He was very professional, but yet down to earth." " I'd like to say that Grant Geddes, my realtor, sold me a condo in April 1991 and did a superb job. He was very professional, but yet down to earth. He answered all my questions and always had my best interests at heart. I'd recommend him to anyone and he is a strong asset to your team. " November 7, 1990: "He did an excellent job acting on our behalf." " In early spring we listed our house with your company and chose Grant Geddes as our realtor. He did an excellent job acting on our behalf. If we ever move back to Calgary, I would like to deal again with Roberts Real Estate and Grant Geddes. " October 28, 1990: "Grant has been our Realtor for several years and each time we have needed his services, he has gone out of his way to help us." We just wanted to let you know how pleased we are with the services of Grant Geddes. Grant has been our Realtor for several years and each time we have needed his services, he has gone out of his way to help us. The next time we are in the market to buy another house, you may be assured that we will be calling on him. " June 7, 1989: "...without your professionalism, time and care we won't have made it this far. We have certainly recommended you to friends and family." " Congratulations on a job well done. We are both very happy for you. With all your time and efforts you put into your job you deserve a top producers award. I know Daryl & I both feel without your professionalism, time and care we won't have made it this far. We have certainly recommended you to friends and family. And hope to see you in our future plans when buying and/or selling a house. Once again Grant, Thank-you very much. We are very happy with our new home. " January 20, 1989: "...he eased the difficulty of home hunting by meeting with us in Red Deer prior to our move..."
" I and my wife recently completed a home purchase as part of our relocation to Calgary from Red Deer. We used the services of your agency through Grant Geddes. Being unaware of the market in Calgary, we were fortunate in selecting Grant as our agent. Not only did he assist us in selecting our eventual purchase, he was very helpful in making us more aware of the vagaries of the Calgary market. Also, he eased the difficulty of home hunting by meeting with us in Red Deer prior to our move here. We have been quite happy with our purchase, to date, and we believe that Grant had a lot to do with that. As a result of our experience with your agent, we are sure to recommend your agency and agent to friends and relatives who may be seeking to sell or purchase in the Calgary area. As well, our return business is assured - whenever that is appropriate. As a last note, I certainly hope that Grant is made aware of this letter - as well as his peers. I assume that a large part of success in your business depends upon the good experiences that clients get from you. " June 17, 1988: "His manner of selling was the best I've ever seen..."
" We purchased a home last May. The home is just average and perhaps we wouldn't have even bought it except for a real great realtor. His manner of selling was the best I've ever seen and he closed the deal before I had a chance to even think. Since then he has kept in touch and stopped by for coffee. I consider Grant Geddes to be a real gentleman and a great salesman. " June 14, 1988: "I must say that he was and still is an excellent person to talk too." " It has been almost a year to date that we had spoken to one of your Real Estate people namely MR Grant Geddes. I must say that he was and still is an excellent person to talk too. I know that it's been awhile since we bought and sold our home but didn't have the time to say thanks. Once again for a good job done thanks to MR Geddes all the best in the future "
November 16, 1991: "It gives me great pleasure to confirm to you that yes indeed service was all we could ask for and extended beyond our expectations for any real estate agency." " Recently, my wife and I received a nice letter and a gift of personalized stationery from Mr. Grant Geddes, a real estate consultant with your firm. In his letter he asked if his services had been satisfactory. It gives me great pleasure to confirm to you that yes indeed the service was all we could ask for and extended beyond our expectations for any real estate agency. Perhaps if I tell you why we selected Roberts Real Estate to represent us the information might be useful to you. To begin with, we have been aware of the extensive work Grant Geddes has been conducting in our residential are or quite a long time. He was the first to show a genuine interest in home owners, like ourselves, in Braeside. He kept us informed about current trends in the marketplace, was knowledgeable about the market, and presented his services in a totally professional manner, never being overly aggressive or pushy. Whenever we consulted with him he was courteous, pleasant, well-informed and helpful. Consequently, when we found we were in a position to purchase property we thought of him only. Unfortunately, when we telephoned Roberts Real Estate, Grant was on a short vacation and we could not reach him. The bright side, however, was that within minutes his covering agent, Elan Van Ameringen called us and set up a suitable appointment which resulted ultimately in a purchase by us. He also impressed us with his willingness to expend the time and effort to find a suitable property and stayed with us through to completion. When Grant returned he too made himself available if and when needed. Needless to say, if we once again decide to contact any realtor for advice, we will phone your firm and hope to reach Grant or Elan. P.S. Grant, thanks for the lovely gift "
November 6, 1991: "The professionalism, efficiency and courtesy with which Grant performed his duties was exceptional to say the least..."
In May of this year, Grant Geddes acted as our realtor for the purchase of our new home in Woodbine. The professionalism, efficiency and courtesy with which Grant performed his duties was exceptional to say the least (not withstanding his sordid past) . Marilyn and I will absolutely do business with Grant again and will recommend his services to family and friends. " February 4, 1991: "...we were pleased that we appeared to make a competitive sale during a difficult sales period." " We have recently completed a real estate transaction with the assistance of Grant Geddes, of your offices. This is the second such transaction for us. The first brought us to Calgary -- this one allowed us to relocate within Calgary. And, although conducted during a poor sales period, we felt that Grant handled our business prudently. We have every confidence in the services your company has provided us with over the past two and a half years we have been in Calgary. We will continue to provide your company with that support, and with Grant in particular. One additional note should be made here. The actual closing of the sale of our home in Beddington Heights was made with the assistance of Neil Krebs, while Grant was away. We cannot thank him enough for the professional and expedient manner with which he handled the negotiations leading to the sale of our home. It was a comfort to find that the obligations of your company's real estate contracts were not jeopardized with the listing agent away. In all, we were very pleased with the manner in which the sale of our home was handled. We were disappointed that market conditions prevented the rapid sale of our home, however we were pleased that we appeared to make a competitive sale during a difficult sales period. Your agent, Grant Geddes handled the sale of our home professionally, and we thank him. And, our future business is assured. Please pass that along to him. " July 19, 1993: "You are very lucky to have Grant on your team." " I would like to take a few moments of your time to express my sincere gratitude and admiration for your new recruit, Mr. Grant G. Geddes. Recently, I purchased a home with his assistance. He was very thorough and kept me constantly informed of the action taking place in the real estate market. Not only was he a true professional in his league, but I felt he also became a friend as well. His knowledge of real estate is a great asset. He was a wonderful personality and his manner of dealing with people is superb. I would not hesitate to have him as my consultant again if I should decide to move anytime in the future, or to give his name to any of my friends or relatives. You are very lucky to have Grant on your team. I want to thank him again for giving his time and expertise in helping me find a home, and for his continued contact through the mail. I wish him all the best in his future endeavors and know he will continue to excel. " January 15, 1991: "Grants' assistance from start to finish must be commended. His cheerful and professional attitude is a real asset..."
" My wife Chris and I would like to express our appreciation to Roberts Real Estate and in particular to Grant Geddes, for the friendly and efficient service in helping us locate and buy our house. This is our first home and are very pleased with the choice. Grants' assistance from start to finish must be commended. His cheerful and professional attitude is a real asset to your company. " February 6, 1991: "We can't thank you enough for all the help you gave us when we were looking for our first home..."
" Thank you so much for the stationery. We will certainly us it. The house is great. We are now in the process of finishing the basement. Bill is doing most the work himself & really enjoying it. We can't thank you enough for all the help you gave us when we were looking for our first home, and will certainly recommend you to our acquaintances. " July 10, 1993: "From the purchase to the financing Grant was always there for us." " This is a short note to tell you about our experience with Grant Geddes. Grant was always helpful; he made our "house hunting" a pleasurable experience. From the purchase to the financing Grant was always there for us. You are very lucky to have Grant on your team, I would recommend his services to anyone. " February 4, 1993: "I appreciated your attention to detail - your advice - and your conscientious adherence to my wishes in the matter." " I want to thank you for your energetic efforts in selling my home. I appreciated your attention to detail - your advice - and your conscientious adherence to my wishes in the matter. I wish you continued success in years and in your personal life. " March 24, 1993: "Mr. Geddes proved to be very helpful and thorough during this transaction, and it was a pleasure working with him." We would like to take this opportunity to personally thank Roberts Real Estate, and your Real Estate Consultant, Mr. Grant Geddes, on the successful sale of our above noted condominium. Mr. Geddes proved to be very helpful and thorough during this transaction, and it was a pleasure working with him. In future, should we require real estate services, or know of anyone who does, we would not hesitate to contact or recommend Mr. Geddes and your firm. " "We certainly have no problem recommending someone who has worked so hard and honestly for us." " What a nice surprise! Thank you for your thoughtfulness. We certainly have no problem recommending someone who has worked so hard and honestly for us. P.S. Ardene and Ken are really enjoying their home. " December 4, 1991: "Grant gave us some very helpful pre-sale advice which we took and it did result in a "top dollar" sale." " Now that we are getting settled, finally, into our home here in Fort Langley, I would like to thank your company and Grant Geddes for the efficient manner in which our Calgary home was sold. Grant gave us some very helpful pre-sale advice which we took and it did result in a "top dollar" sale. Grant's enthusiasm and energy was really appreciated. Unfortunately we did not "luck out" in B.C. All the homes we saw were dirty, in need of much work and expensive. We finally settled for one that had "potential" Four months-and lots of hard work, renovations & painting-later we are beginning to have something similar to the home we sold in Calgary. Because my maiden name is Roberts and because we received such good service it was almost like dealing with family. Also, our close friend Judy highly recommended your company. Thanks again. " " I can't thank-you enough for all of the help, support & knowledge that you provided for me during my recent work with you. You're an unbeatable team. Wanted to contribute towards your new deck & outdoor furniture. " June 27, 2003: "Thank you for being so supportive on the path to my new home. You were 100 times better..."
" Thank you for being so supportive on the path to my new home. You were 100 times better than Rhonda described - I am just so thankful for who you both are & how you express your gifts to the universe. Here are 4 certificates for reiki. Use them any way you want, whenever you want to. April 2003: "...you became friends trying to help friends." " There aren't any words that express how much I appreciate what you've done for Greg & myself. I never felt once that you were working for me, but that you became friends trying to help friends. " November 16, 1998: "It is skilled and thorough service like this that adds to our professional image..."
" I want to take this opportunity to commend you for your quality and caring attention given to Blayne & Elaine on the purchase of their home. It is skilled and thorough service like this that adds to our professional image and keeps RE/MAX known as "The Real Estate Leaders". We have passed a copy Blayne & Elaines' letter to our newsletter department for inclusion in the next Insight issue and we thank you for the copy of your photo. Once again, thank you. Continued good luck and good selling! Wishing you every success for the remainder of 1998. " July 10, 1996: "Thank you again on behalf of the Braeside Community Association board of directors." " We send this letter to you with many thanks. Your generous donation to our recent fund raising dance was greatly appreciated. In today's lean economy, it is people like you who keep the community spirit alive and growing. Our dance was a great success and the new C.O.P.S. store front station becomes a reality. This will benefit us all. If at any time you need our support as a community, please feel free to call. Thank you again on behalf of the Braeside Community Association board of directors. " September 9, 1994: "...it's done and my appreciation goes to you for your quick response..."
Thanks Grant, and to Carol also, for your assistance yesterday. I was able to achieve a revision on our assessment from 179 to 162.5 based on a correction of their TFFA figure, and I believe, an awareness of sales figures in the area. I was shooting for something in the high 150's, but perhaps under - valued the basement development. At any rate, it's done and my appreciation goes to you for your quick response after returning from holidays! " February 24, 1993: "Thank you for staying in touch with us over the last few months." " Thank you for staying in touch with us over the last few months. Our preliminary plans to relocate to Calgary have changed. We will be staying in Saskatoon. However, you have really impressed me with your professional and personal touch! Best wishes for your continued personal and business success. Your assistant(s) should be congratulated as well for their follow up help. You obviously have a top notch system. Although we've never been personally introduced I would be very comfortable in referring my friends and acquaintances to you. I look forward to reviewing your regular newsletter and hope you will consider keeping me on file. When I'm in Calgary again I'll look you up. If your schedule permits perhaps we can have a coffee together. I'm meeting Derrick tomorrow, I'll commend him on his ability to choose professional referral agents. " November 2, 1990: "Well I know that we made the right choice when we listed with you..."
" I was really surprised to receive your gift in the mail and I thank you very much. It was approximately three years ago when you first came to our home in Braeside. You gave me your magnetic card to attach to the fridge, just in case we ever needed a realtor. Well I know that we made the right choice when we listed with you in the early spring and I thank you again for all the help. " "Your extra efforts in selling our house were very much appreciated." " Your extra efforts in selling our house were very much appreciated. " January 2, 1992: "Grant, thanks again for all your time and effort you gave to us in our search for a new home, we certainly appreciated it." Grant, thanks again for all your time and effort you gave to us in our search for a new home, we certainly appreciated it. We hope the new year is full of good health, much happiness and a prosperous one for you and your family. Thanks Again For Everything Grant! "